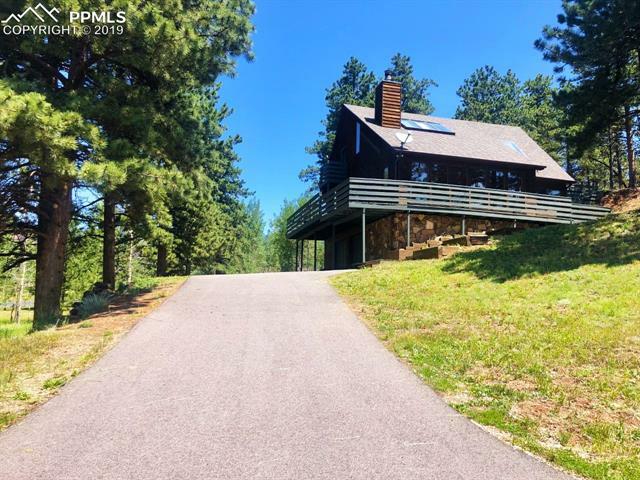 All Woodland Park homes currently listed for sale in Woodland Park as of 04/20/2019 are shown below. You can change the search criteria at any time by pressing the 'Change Search' button below. "Entire property is an impressive 126 acres with amazing views, foothills, meadows and a stream. 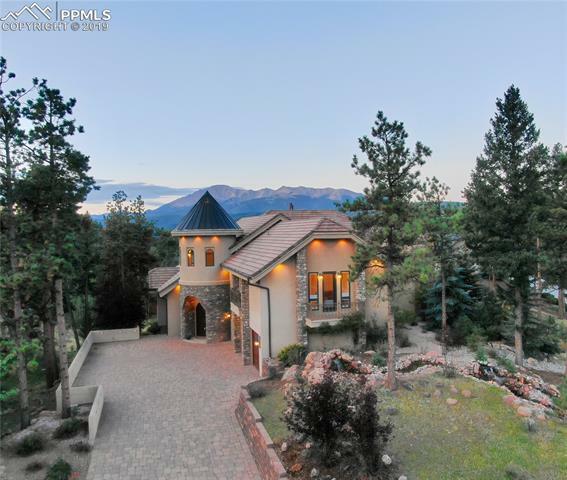 Main house is custom built with quality upgrades, large windows and a Pikes Peak view from every room. Beautiful wood floors in dining room, gourmet kitchen, main level master, and wide hallway. Dining room has serving counters and cabinets. Heated tile floors in foyer. 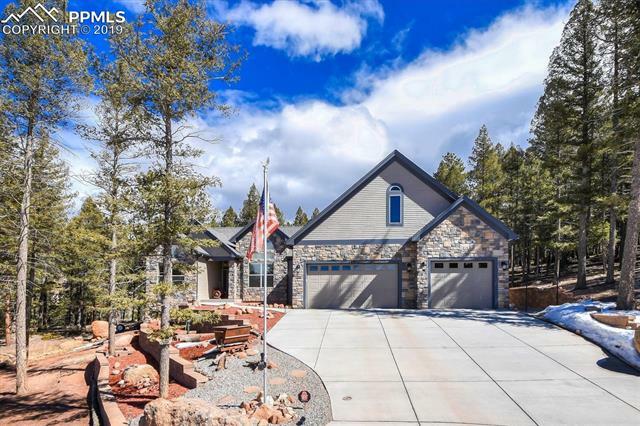 South facing flagstone patio with access from kitchen & living room, has built-in gas grill and stunning Pikes Peak and property vie"
"Exquisitely crafted mountain retreat in charming Woodland Park, Colorado community. Handcrafted double doors welcome you into your copper-roofed turret foyer. Entertaining is at the heart of this architectural masterpiece sure to wow guests. As you enter, pause to admire the beautiful stone tile and exquisite custom inlay artwork. Floor to ceiling windows greet you as you ascend to the living room with vaulted 34ft beamed ceiling. 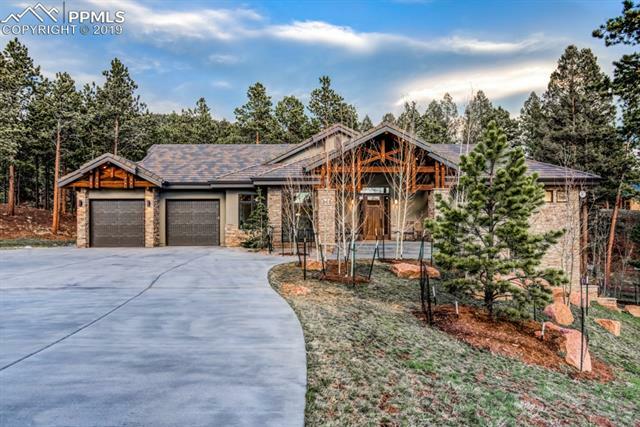 Warm up next to your cozy fireplace as you admire your very"
"Breathtaking views of Pikes Peak from this custom home designed to embrace Colorado Mountain living with stucco, stone, & massive englemann spruce logs.Towering pines mixed with graceful aspens cover the 35.25 acres in the gated community of Majestic Park. 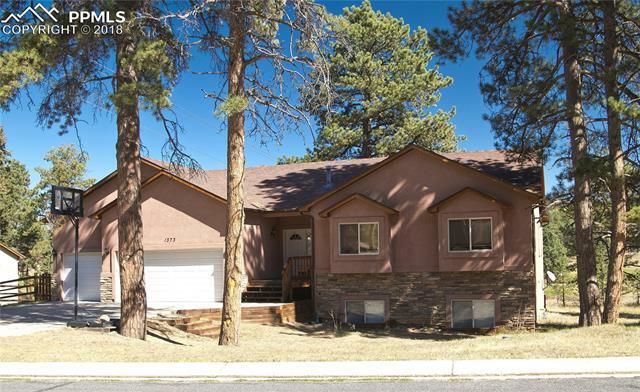 Convenient to outdoor activities, shopping & restaurants in Woodland Park, this home enjoys convenience yet privacy. Double doors open to an entry with travertine tile that continues into the kitchen & mud room. 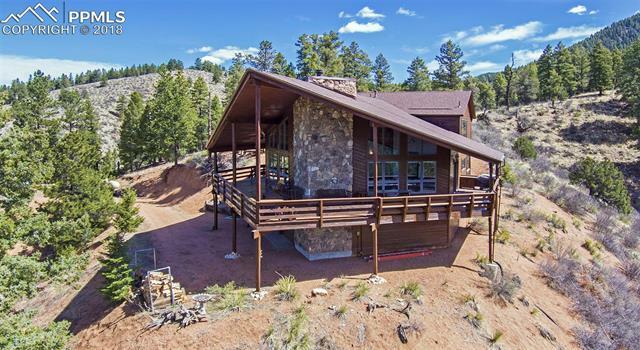 The home is very open on the ma"
"One of the most spectacular settings in Teller County. 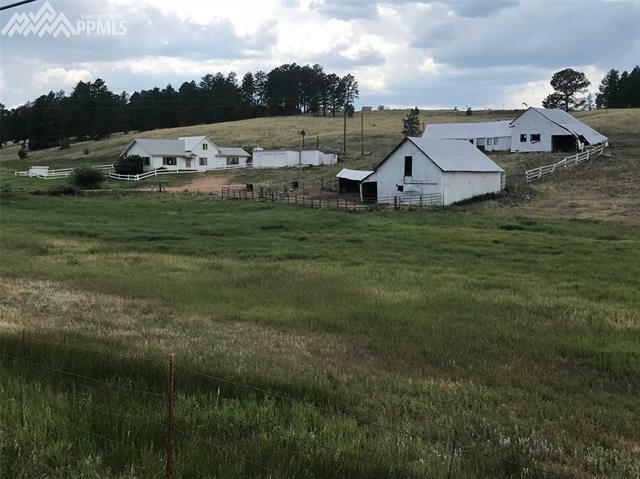 Super rare large acreage, 88 acres next to Woodland Park. This is an inheritance sale and a first-time family offering. The ranch offers lush sub-irrigated hay meadows complete with water rights. 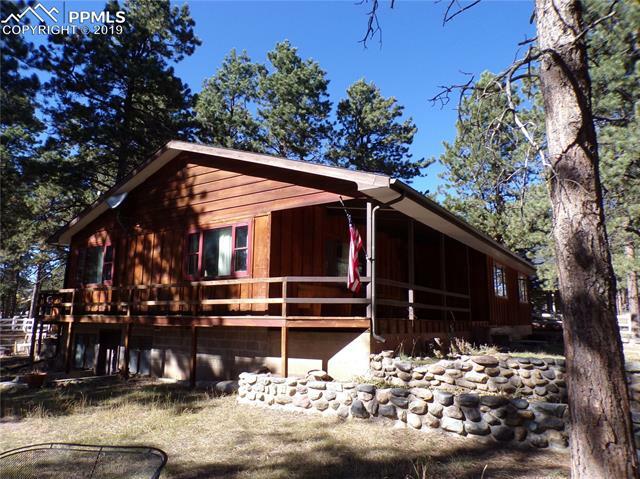 The 4 bedroom, 2 bath rancher has been well kept and is great family home overlooking a small pond. The ranch is fenced and makes and exceptional horse property." 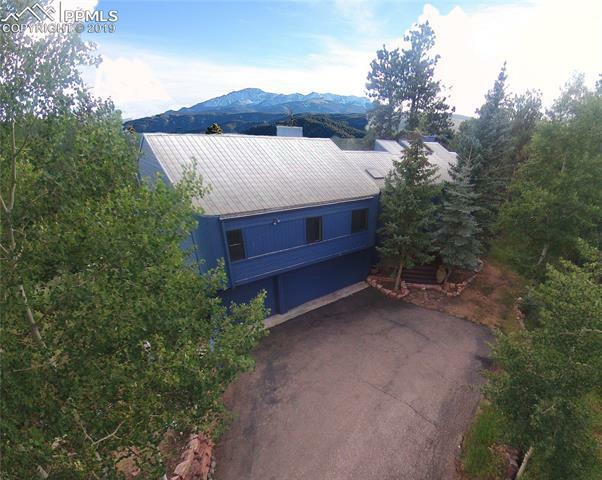 "DOUBLE LOT in Paradise in Colorado! Lot is nearly an acre and a half, which is unheard of in this amazing neighborhood. Adjacent to Open Space, so it feels extremely private. Just a 20 minute commute to downtown Colorado Springs. 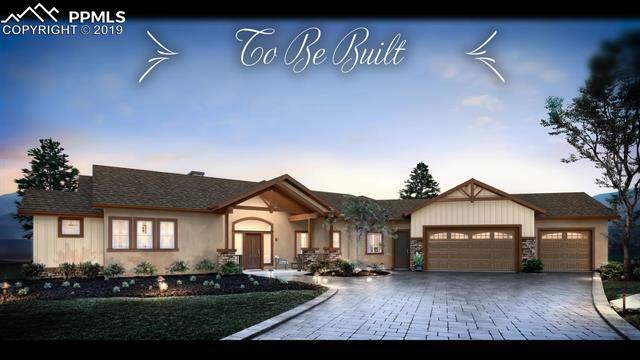 Custom Home with stunning finishes throughout including wide plank hardwood floors, exposed wood architectural beams, quartz and leathered granite countertops, beautiful subway tile and much more. 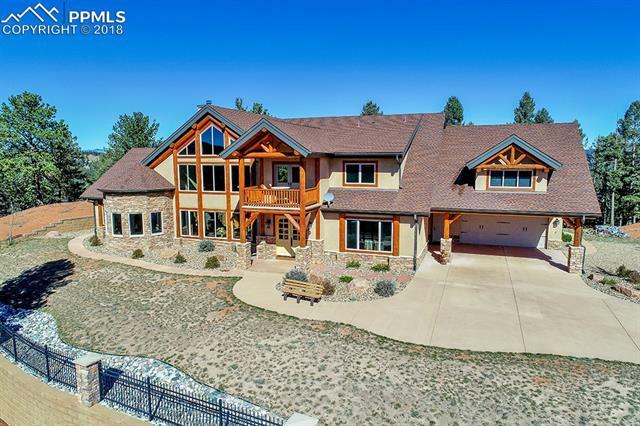 Exterior landscaping has added trees/shrubs and about 800 sq ft of pavers"
"Secluded Custom Log And Stucco Mountain Retreat With Main Floor Living, Open Floor Plan, Private Master Suite. Total Remodel and added 1000 sq.ft. in 2009 to original house. In Floor Radiant Heat. 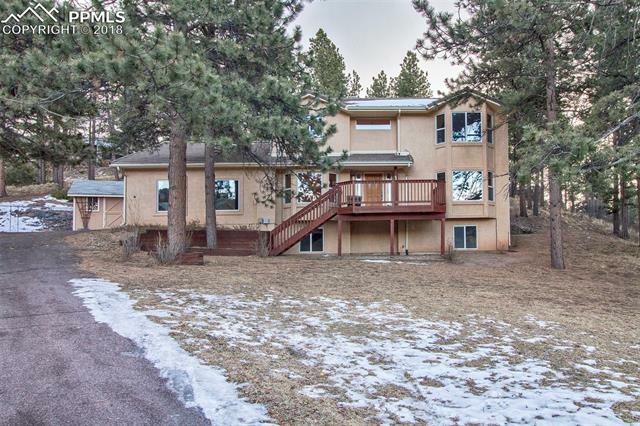 At The Edge Of Woodland Park On 8.37 Acres, Zoned A-1! Stunning Great Room With Old Forest Hickory Floors. 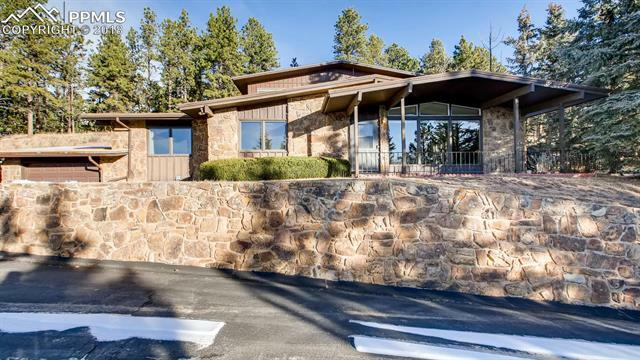 Massive Stone Fireplace, Must See Gourmet Kitchen With Fabulous Granite Counters. Custom Cabinets, Built-In Appliances, Pantry, Eat IN Breakfast Nook, Plus Bar Island, Pella Windows And Doors. Mas"
"Amazing New Luxury Subdivision in Woodland Park. The Colonel's Cottage model offers the highest quality of construction and extremely efficient construction. R 23 walls, R 49 ceilings,Top of the line windows, 50 year Roof, 40 BTU gas Fireplaces, and Natural gas heating. Hardwood floors throughout the main level living areas, Great room, Quartz Countertops, Lever door hardware, Solid wood doors and more. The Great room offers Dining room area, and stone gas fireplace. Kitchen with island and bre"
"A beautiful custom built ranch style home, with walk out basement, on a half acre of treed land, on a cul-de-sac, in a quiet small town, perfect for raising a family, or retirement home. Large master with beautiful 5 piece bath, , including tile work and granite, with a walk in closet. Cozy living room with wood burning fireplace. Dining room, and kitchen with eating space. Granite countertops, walk in pantry. 2 more bedrooms upstairs, (1 could be used as office space ), and full bath. Main leve"
"This is what life in the mountains should look like. This spectacular 4 bedroom 4 bath home with an attached 3 car garage is sure to impress. From the moment you walk in to this stunning well-built home, you will be hooked. The gourmet kitchen, stained glass accents, large dining room, and a comfortable yet elegant living room - complete with fireplace, are only a few of the features. The gleaming hardwood floors in the living room and master bedroom, and the stone and tile floors add to thi"
"As you enter this home from the covered front porch, you will notice the open floor plan* The Living Room, Dining Room, and Kitchen will be open to each other making this a great area for entertaining* The Master Suite with adjoining 5-Piece Bath and walk-in closet are on the main level* This home has a huge deck with walk-outs from the Dining Room, Living Room, and Master Bedroom* The Basement will be finished with 2 Bedrooms, a full Bath, Office, and Spacious Family Room*"
"Brand New Construction Home Located in Wildernest Subdivision. Enjoy main level living on this spectacular home. As you enter this home from the covered front porch, you will notice the open floor plan* The Living Room, Dining Room, and Kitchen will be open to each other making this a great area for entertaining* Both the Dining Room and Great Room have walk-outs to the deck* The Master Bedroom with adjoining 5-piece Master Bath, walk-in closet and walk-out to the deck*"
"Custom built beauty. Quality and character around every corner. The covered front porch is sure to please those who appreciate the view of soaring pine trees, beautiful landscaping & the neighborhood wildlife. The intricately carved sunburst front door welcomes you to the main level where the Great Room has expansive ceilings & a wall adorned with wood from an 1880 caboose! Main level is complete with a lovely kitchen & dining area. Enter through the screen door to find the laundry room th"
"Beautiful NEW 4 BR 3BA home located on Shining Mountain Golf Course. 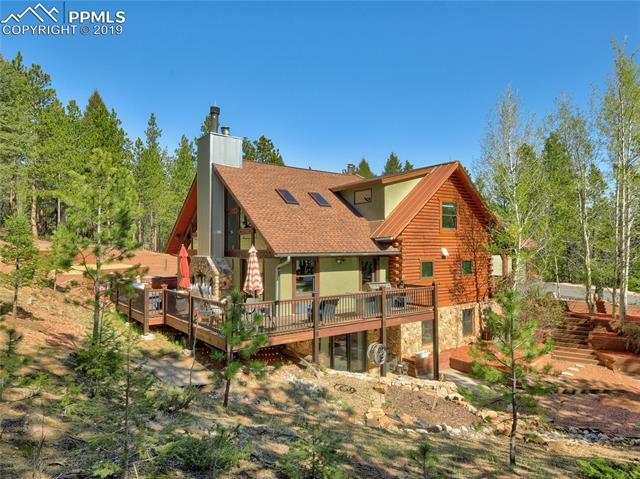 This property sits above the third hole with many windows to bring the Colorado outdoors in. 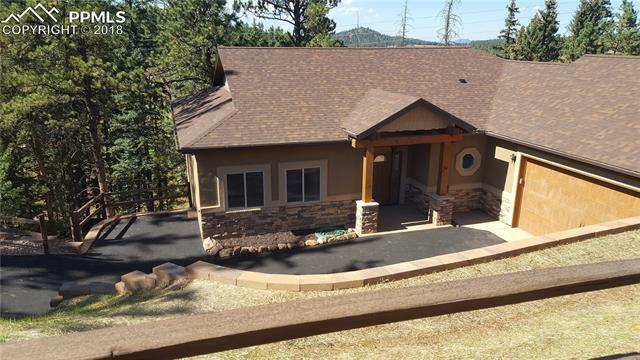 Enjoy the views of the course and mountains from your secluded deck. Features include granite counters, black slate appliances, vaulted ceilings with 9' walls, five piece master, hand scraped wood floors, gas fireplaces, and large rooms. All of this located on a quiet cul-de-sac with quick access to shopping, schools, hospital and"
"Woodland Park Beauty sits on a massive treed lot - close to an acre in size that is ready for you to call home! This 3400+ square ft two-story home built in 1993 has 5 bedrooms, 4 baths & 3-car attached heated garage. As you enter the home there is a dramatic curving staircase that leads you to a large master retreat w/jetted tub & separate shower. The 2nd floor also features 3 bedrooms & full-size bath. The main level spacious gourmet eat-in kitchen has been completely remodeled w/a large stone"
"Builder Custom Home on the Golf Course. Main level living with open concept floor plan. Great room offers built in shelving, gas fireplace and walk out to spacious deck overlooking the Golf Course. Kitchen/Dining room has hardwood flooring, breakfast bar, center island and large pantry. Laundry is off kitchen to 3 car attached garage. Main level master with walk in closet and 5 piece adjoining bath, Jacuzzi tub and heated floors. Two additional bedrooms and full bath complete the main level. L"
"Enjoy carefree living without giving up the spaciousness of your present home. This custom, upscale townhome overlooks the golf course at Shining Mountain and boasts an open floor plan, hardwood floors, solid granite countertops and alder cabinetry. The lower level family room has a gas fireplace and wet bar plus opens onto a patio, two additional bedrooms with full bath, and an impressive storage area." 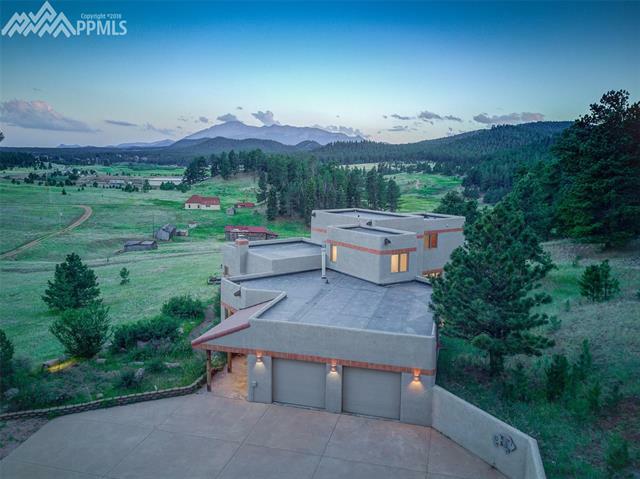 "Amazing Pikes Peak views from lovely corner lot with mature trees. Front landscaping with rock walls and accents on cul-de-sac allowing for lots of privacy and quiet. Main level living with spacious living room with gas free-standing fireplace and walk out to deck to enjoy those views! Dining and Kitchen offering vaulted ceilings and skylights allowing lots of natural light. Master bedroom also on the main level with adjoining bath and lots of closet space. 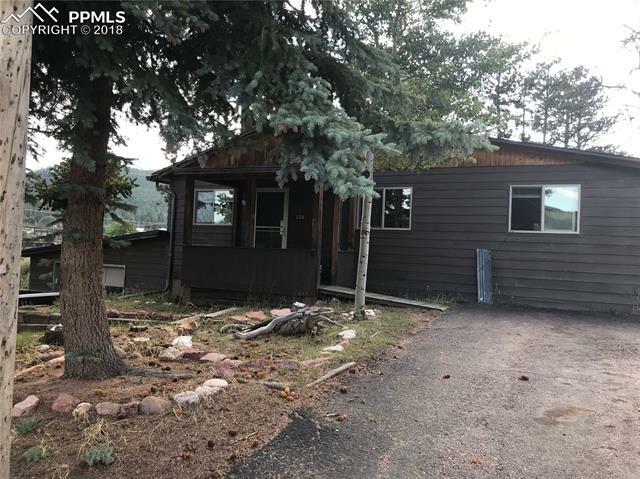 An additional half bath and access to "
"Don t miss out on a chance to own a mountain home in, The City Above the Clouds , Woodland Park! -- it is a 4 bed/ 3 bath, 2 car garage home situated on over 3/4 of an acer with a NEW roof! 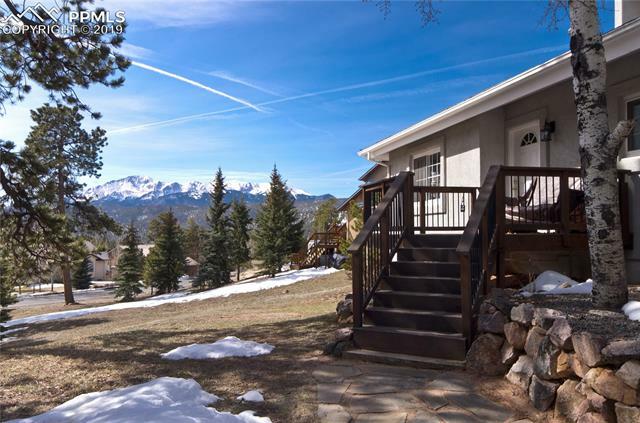 Step onto the deck and enter through the main door into a spacious sun room, which provides breath taking unobstructed views of Pikes Peak. Move into a spacious living/ dinning room with vaulted ceilings. The kitchen has stainless steal appliances with a fantastic gas range stove. -->"
"Sweet homes with some upgrades - just a short distance off of hwy 24 - easy walking to shopping and dining. Top unit is above a 3 car garage, other unit has 1 car garage and a 12 X 25 Shed in the fenced back yard. Both homes remodeled in 2015 including newer furnaces and new plumbing! Even a new sewer tap ! Has Been GREAT rental property - continue to use as or live in one and rent out other????" "Centrally located, this home offers many unique extras. Big windows provide all day natural light. The spacious Living/Dining area has vaulted ceilings, a fireplace with a large, welcoming hearth, and opens to a Kitchen with lots of cabinet space. The Master bedroom has a huge walk in closet and attaches to a newly remodeled, Custom Bath. The main Bath is also Custom, and recently remodeled. You will be amazed at the size of all the rooms, the closet space throughout, and the finished basement t"